The world is ending. Life as we know it can never be the same. Tacos have been outlawed. The ingredients to create tacos? Also outlawed! You are ______. 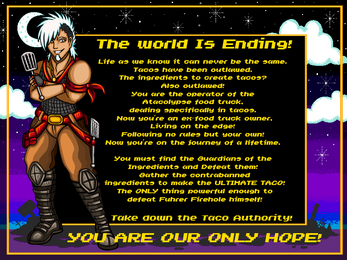 The operator of the Atacolypse food truck, dealing specifically in tacos. Now you're an ex-food truck owner, living on the edge, following no rules but your own! And now you're on the journey of a lifetime. You must find the guardians of the ingredients. Defeat them. Gather the ingredients. 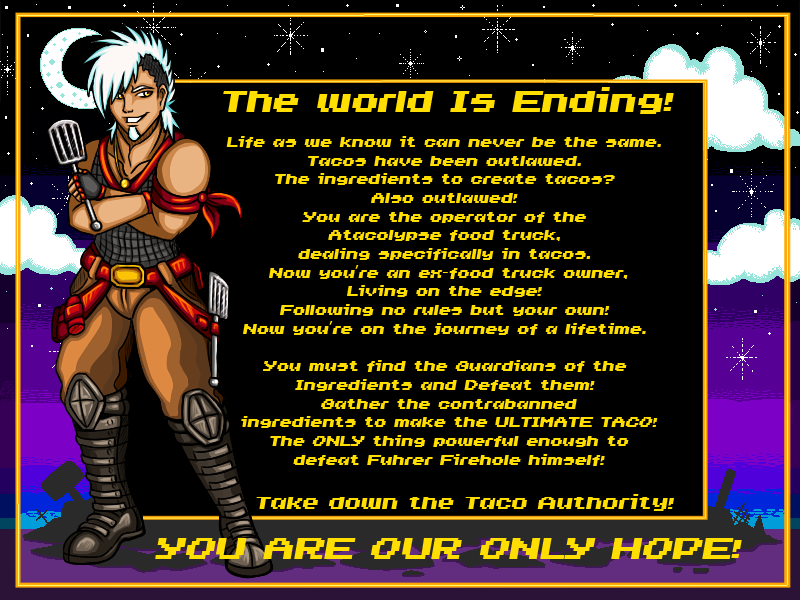 Take down the Taco Authority! This game way designed from a conversation with Chad at a Denny's. When Chad speaks I tend to listen because the guy never has ideas and always just says "I don't care." Thus the idea of Atacolypse was born. 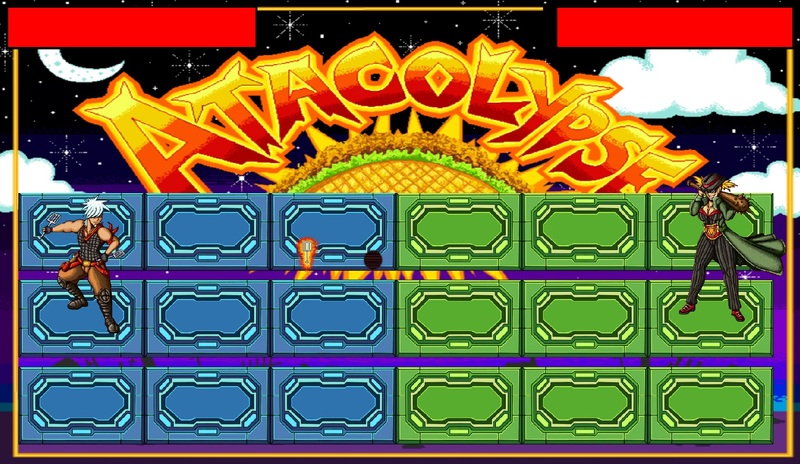 Megaman Battle Network style fighting system. 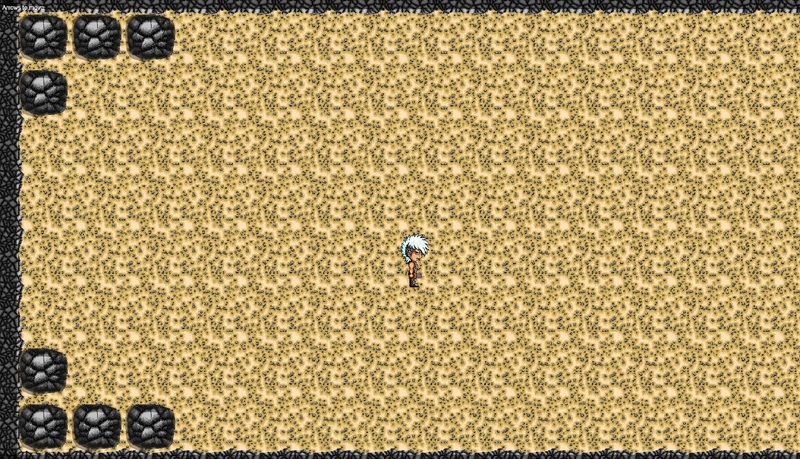 23 enemies + boss battle. Mostly custom music that doesn't loop well. 5 bosses with different abilities. 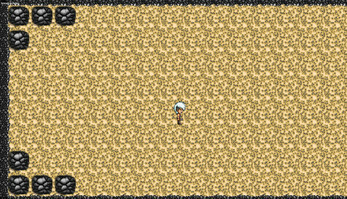 Melee added in the fighting system.